C.H. Hanson C H Hanson 1-7/16'' x 3-1/16'' Orange Anodized Aluminum Rectangle Blank Metal Tag with Notched Corners - 5 pk. C.H. Hanson C H Hanson 1-7/16" x 3-1/16" Orange Anodized Aluminum Rectangle Blank Metal Tag with Notched Corners - 5 pk. If you have any questions about this product by C.H. Hanson, contact us by completing and submitting the form below. If you are looking for a specif part number, please include it with your message. C.H. Hanson C H Hanson 1-3/32" Aluminum Round Blank Metal Tag - 100 pk. C.H. Hanson C H Hanson 1-1/4" Aluminum Octagon Blank Metal Tag - 100 pk. C.H. 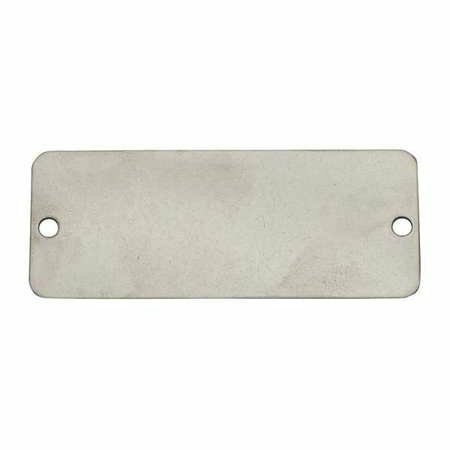 Hanson C H Hanson 3/4" x 3-1/8" Aluminum Rectangle Blank Metal Tag with Rounded End - 100 pk. C.H. Hanson C H Hanson 1-7/16" x 3-1/16" Red Anodized Aluminum Rectangle Blank Metal Tag with Notched Corners - 5 pk. C.H. Hanson C H Hanson 1-7/16" x 3-1/16" Yellow Anodized Aluminum Rectangle Blank Metal Tag with Notched Corners - 5 pk.